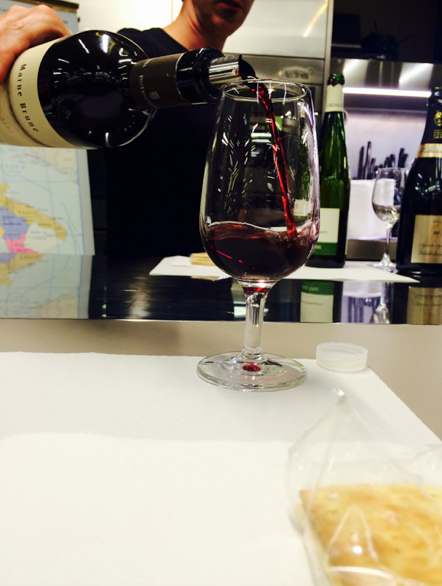 Last night, as a part of our culture class, we had a wine tasting. It was in the central market right beside our house. It was cool getting to go inside the glass walls and participate in a class we had passed by so many times. And yes I mean so many, we have been there every day since we got here. 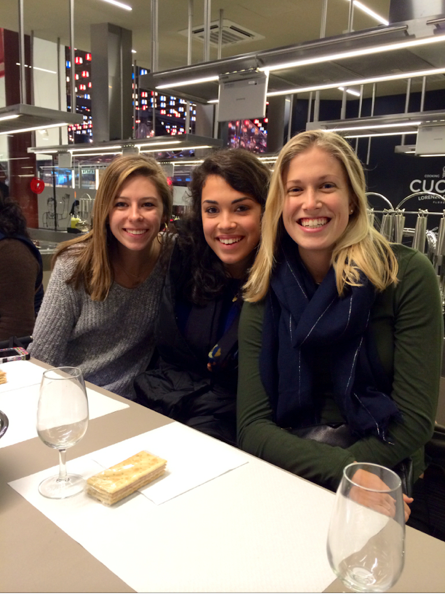 A professor from our school that teaches wine tasting courses, led us. After about 15 minutes, I came to the realization he loves to hear himself talk. Over the course of two hours we tried six different wines, two white, two red, and a dessert wine that looked like beer but smelled like oranges. 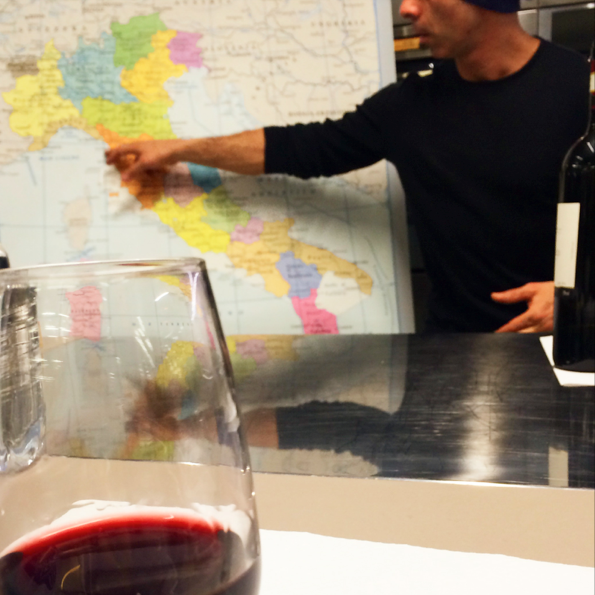 As soon as he poured each of our glasses, he would make us go through all the steps like a true wine connoisseur. He asked each of us what we smelled. Some of us laughed to ourselves when he was going on and on about all these different flowers, fruits, and spices. He claimed to smell nutmeg and cinnamon in the dessert wine that clearly smelled like sugar, oranges, and maybe some flowers. It was quite the experience to say the least. My favorite kind of culture class. Mercato Centrale at night. It is open until midnight every day. It ran through dinner time so we were starving by the end of it. It was no sacrifice getting to eat at the central market once again. I still have yet to have a meal I have not liked. I’m already scared of how picky I will be when I get back home. After dinner, some of us met up with some kids that are here from Penn State. 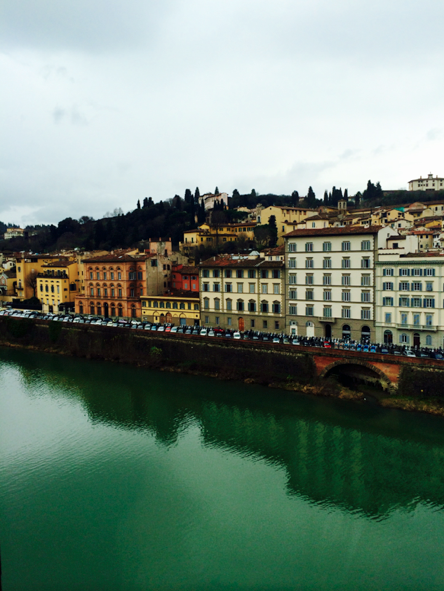 The center of Florence is all about tourists and americans. All of the bars, or discotechs as they call them, are always filled with study abroad students from all over the US and typically have American Bar as a part of their name. The place we went to last night even had an american flag counter top. 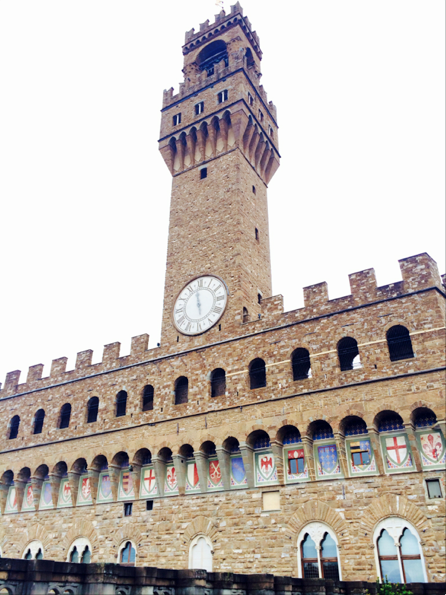 This morning we had to be up and ready to go by 9:30 for a tour of the Uffizi. For those of you that have no clue what it is, it is a museum that is filled with steps, steps, steps, more steps, and a ton of paintings and sculptures by artists like Botticelli and Michelangelo. It was once owned by the Medici family and was a part of the corridor they would walk through to get to work since they didn’t want to walk down on the road with everyone else. The department head of the Italian department at our school was our tour guide. She talked for 90 minutes about two paintings…After 15 minutes, we all were completely zoned out. I wish we would have been able to walk around and explore on our own but instead we listened to her talk for a little over two hours about maybe 5 paintings. I don’t really understand paintings but I did appreciate the fact I was inches away from paintings that are worth millions of dollars. 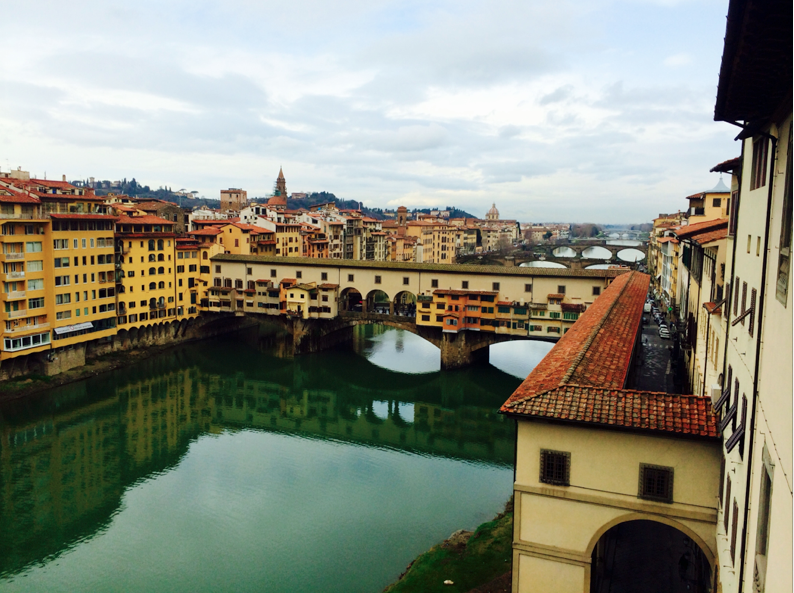 The views from the top floor of the Uffizi were gorgeous. Pictures don’t even really do them justice. The ceilings were just as pretty as the pictures on the walls. Tonight really set in the study part of study abroad. We have had homework every night and today had a paper to write. Tomorrow we have a quiz but it shouldn’t be too hard thankfully. Italian is very similar to spanish so it has been easy to pick up. Some of my friends that took other languages are having more trouble picking it up. Saturday we are taking a day trip to Pisa so my next blog post will more than likely have a cliche picture with the tower. ← Is Pesto a Vegetable? Well, I don’t know what I did but I think I lost all I had written already. Love your writings and the pictures too. Enjoyed talking to you with Linz on Monday. You looked good. Send my love.